I finally feel like I can talk about our upcoming trip without jinxing it. That's because my passport application went through and that little blue book is finally safely in my hands. I had no real reason to think it would be denied, I was just paranoid since we booked nonrefundable tickets before I applied for my passport. Probably not the best order in which to do things! So, now that that not-so-little detail is taken care of I can finally say that we're going to Europe in May! I'm so excited and this trip is occupying a lot of my day dreaming time these days. Which means I spend an inordinate amount of time thinking about what I'll be packing. Here's the challenge... we've decided since we'll be traveling quite a bit once we're over there, we want to pack as light as possible and that means not checking any bags on the flight over. Fifteen days in Europe with only a backpack's worth of clothes presents a unique challenge for a clothes-loving gal like myself. I know in the end practicality will win out, but in the meantime it doesn't hurt anyone to think about what I would like to pack if I had my own entourage to tote my luggage around for me. First stop LONDON! We'll be staying in Camden since Tom has visited London many times before and always loves staying in this neighborhood. I can't even think of all the things I want to do while I'm there. I keep having visions of Clark Griswold getting stuck in the round-a-bout... "Look kids, Big Ben! Parliament!" Next stop PARIS! Again, I'm a bit overwhelmed at the thought of all the things I want to do while we're there. I know there will be some touristy stops and some vintage shopping and lots of museums and beautiful outdoor spaces. We literally rearranged out itinerary so we could make it to Les Puces de Saint-Ouen. The thought of going to a Parisian flea market has me too excited for words. Next stop FREIBURG! We'll be staying in Freiburg while we explore the Black Forest region of Germany. Tom has distant relatives there that we'll be visiting so we hope to see lots of the local sites and not just touristy things. There will also be a day trip to Heidelberg. I've been studying and trying to learn a little bit of German to help us get around. Ich kann ein bisschen Deutsch sprechen! Next stop BRUGES! OK, so have you seen the movie In Bruges? Tom and I loved that movie so when it came time to pick a stop in Belgium our choice was pretty obvious. I can't wait to take a boat ride through the canals of the Medieval city. Oh, and the other things we're looking forward to... lots of chocolate and LOTS of Belgian beer. Next stop AMSTERDAM! I'm imagining riding bicycles through fields of tulips but I might be reaching a bit with that one. There will definitely be bicycles involved, that much I know. Then there will be a long flight home and a week of sleep! 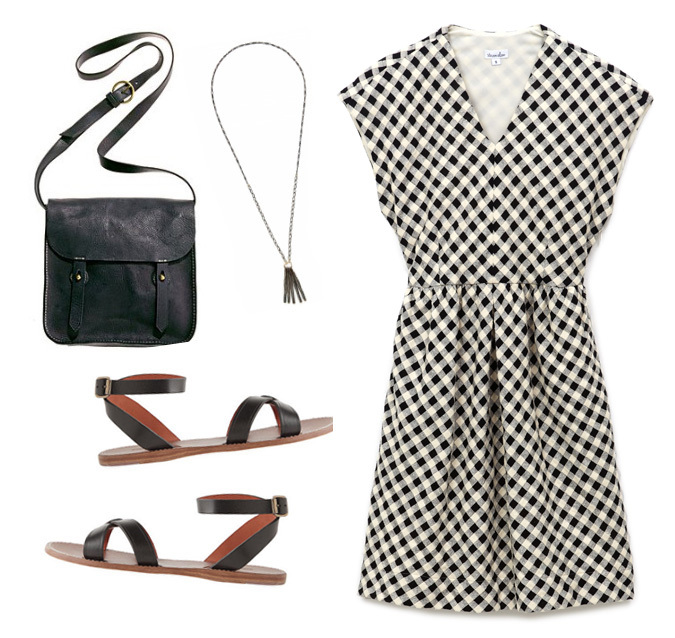 I want that Madewell dress SO BAD! Have fun in Amsterdam. I'd love to go there someday. 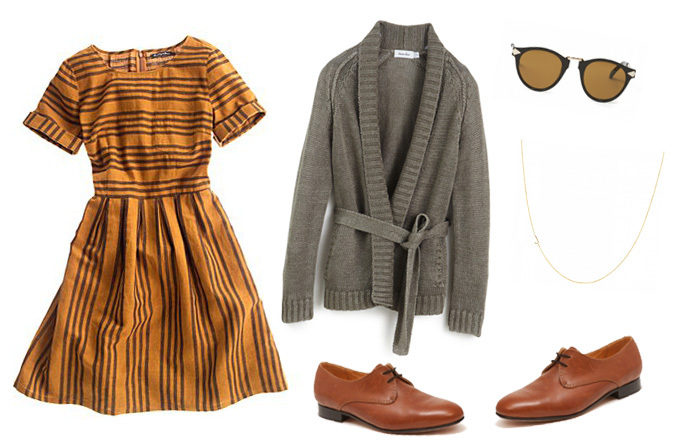 i love the madewell + steven alan dresses. perfect for traveling. 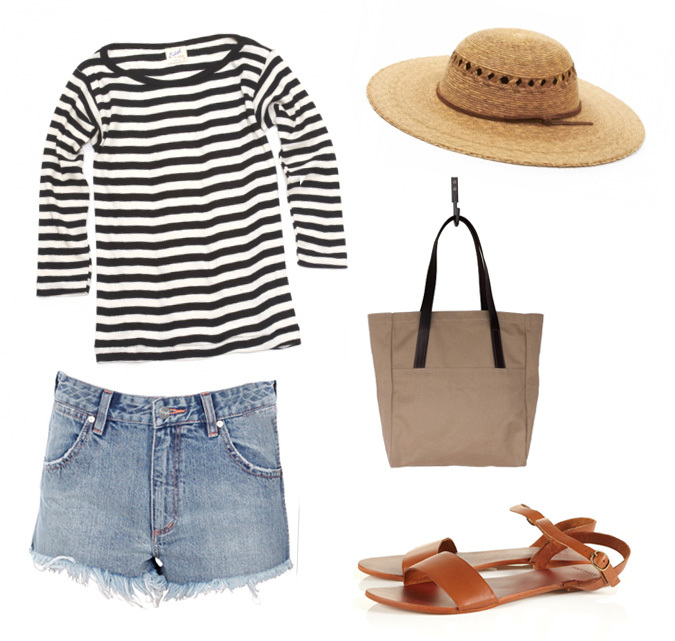 These are SUCH CUTE and well thought out outfits! I had a similar problem while backpacking to different hostels with my friend! Sun dresses were definitely the easiest thing because they could be rolled up easily. That, and a REALLY comfy pair of sandals! Great style, have a terrific valentines day! That's exciting!Nice collages you have. I'm also visiting Europe in May (Munich & regions in Switzerland). I envisioned myself all bundled up in May though, being one from the equator..
Would be nice to know what're you're packing! I find it hard to bring fashionable but real functional walking shoes. Flats arent good enough, it must be flats with good support for me because i'll do Lots of walking! I really like the outfits, you're inspiring! It must have been hard to choose which city visit! I'm French and there are so many European places that I love (Copenhagen, Lisbon, Barcelone, Roma...)! But maybe you know Europe already? Your trip sounds like a lot of fun. I went to Bruges in November and it is such a lovely little city. All the places your are visiting are great, and I'll be curious to see your photos from Germany, I've never been. If you want any info on London I'd be happy to help! OOh! I'm Belgian and I should really warn you: skip Bruges: it's tourist shithole! Go the Ghent instead (and visit me, it's where I live..): it's closer to Brussels, the historic buildings are as beautiful as the ones in Bruges, there are boatrides too but there are less tourists, there is more of a cultural life, there are GREAT bars, we have just as many beers (even more so, and a great jenever place), the shops are cooler, there are swing jazz shows for FREE almost every night, the people are younger and friendlier...and I could give you a great personal tour. Just saying! Bruges is just the typical mistake every tourist makes. This is very exciting! I love all the outfits you've dreamed up here. My husband and I just got back from a trip to Paris, and if flea markets are your thing you should definitely not miss out on les puces aux porte de vanves. So many amazing things to look at! You will love Freiburg! Be careful not to step in the little streams in the street, or you will be forced to marry a Freiburger. I live in Stuttgart, just north, but I love Freiburg! Such a lovely city. Have fun!